My mom is constantly battling the clutter in her home and it doesn’t help that my dad is constantly going to garage sales and flea markets to buy things for her. Yesterday I spoke to her on the phone, and gave her these tips. She is always jealous coming into my home because she wishes hers was more organized like mine, but I told her that it is possible; it will just take time. Focus on one room at a time: One of her main problems is that she jumps around from room to room. She works on a drawer in one room and then moves on to a pile of clutter in another room. While she is making some progress, it is not enough and it is not evident. If you focus on one room at a time, you will not only have one room really clean, but you will also have an incentive to keep going. Move on to the next room: After accomplishing one room, then it is fine to move on to the next room. The problem with her is that she will prematurely move on without thinking. Spend five minutes in the clean room. The other key to success is to spend 5 to 10 minutes every single day in the room that is clean. This will help it stay clean, and it will help you feel better. After getting two rooms perfectly cleaned, spend five minutes a day in each of those rooms to make sure they stay clean. Give yourself a junk room. 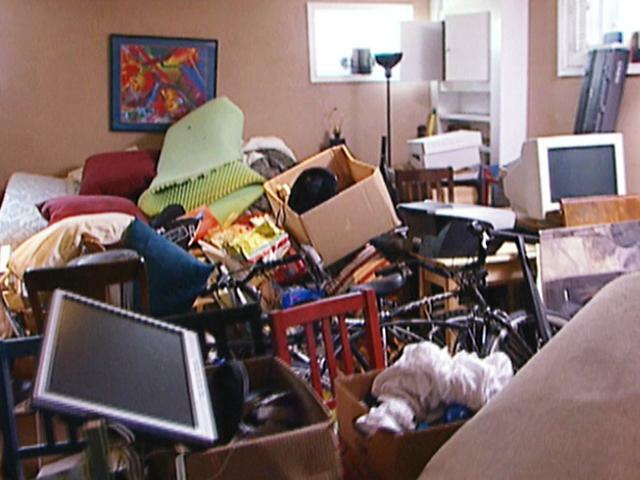 If your house is out of control, allow yourself one area to store junk. This is the place that you will use when you find things in rooms that you do not know what to do with. Leave this room for last.